We’d have to travel back to May 2009 to remember the last time we managed to get comfy with a Sidekick handset, but after hearing reports about the popular line being possibly discontinued, we were utterly taken by surprise by the announcement that it was basically going to be reincarnated into a smartphone. 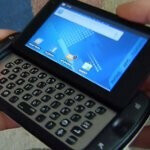 After getting the chance of checking out the T-Mobile Sidekick 4G at CTIA 2011, we’re finally once again going to be able to relive all of the messaging focused aspects of the popular line. Taking a quick peek into its packaging, we find the initials “SK” squarely on the top, with some colorful markings outlining the sides. Inside, we find the microUSB cable, wall charger, usual set of documentation, and a microSD card adapter – the latter of which is rarely found packaged along with most phones; so it’s nice seeing it included. The handset itself pretty much sticks true to the Sidekick form factor, but instead of employing that usual swiveling mechanism with its display, the Sidekick 4G opts to use a “pop-tilt” mechanism. Considering its $99.99 on-contract cost, it’s pretty amazing to see it competitively priced knowing that it features a 3.5” WVGA touchscreen, 3-megapixel rear camera, 0.3-megapixel front facing camera, 1GHz Hummingbird processor, HSPA+ support, 5-row QWERTY keyboard, and Android 2.2 Froyo. Besides the specs, the handset relies on using a customized experience to better channel its messaging attributes in order to provide things like advanced texting services with Group Text and Cloud Text. Furthermore, you know that social networking and multimedia are going to come into play with this one to concretely cement its well-rounded capacity. In any case, we’ll surely test this one out over the course of the next few days to better grasp this modernized Sidekick device. no swivel!? whats the point? get a droid 2 its the same thing except with a much better network. So if it did have a swivel you would like this crap? Wow. Sad. no. No. NO! Why the SWIVEL SCREEN! Unfortunately swivel would be frustrating with swipe to unlock touch screen. Wow it has a 3 mp camera, its super huge and thick, looks kiddish(like most androids), Manufactured by Samsung(Get ready for update failures) and ur B_tchen'over the non swivel screen? WOw! price down? It comes with 1Ghz processor, 2 cameras, 3.5" screen and its made from quality material. This phone will cost about more than $150 when you can get the motorola blur 2(5mp,1Ghz,full qwerty, 3.7 in screen) Samsung Vibrant(1Ghz, 5 mp w/30fp Hd recording, 4" Super Amoled screen) or motorola defy(800mhz, rugged, 5mp) for $99(Both Moto) or $50(for Vibrant) with better specs. why are you defending this crap u call a phone. The shift key is pink, regardless what color SK you get. i've owned every one since the beginning and i would feel lik im cheating my self if i didnt cop this part of my growing up. i think this phone is great no matter what anyone got to say, because it is a huge improvment to all the other sidekicks, and thats what it was ment to be.